The best company to keep. When some of the finest minds from every corner of industry come together with a common goal to relax and pursue their interests, you have exceptional pastime opportunities. Welcome to the special interest societies of the Duquesne Club. 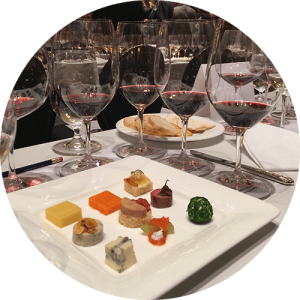 Wine Society – With 300 members, the Wine Society boasts the largest enrollment of any private club wine society in America. Tastings, tours, dinners and classes are all part of the enjoyment. Art Society – Beginning with an exploration of the Club’s significant art collection and historic building. Members share the enrichment that art brings to our lives locally and worldwide. Rod & Gun Society – A special camaraderie forms around the traditions of the hunt. Rod & Gun members participate in an active calendar of shooting, fishing, hunting and sport. Literary Society – Reading and theater share center stage in this society dedicated to the enjoyment of a broad range of literature. Culinary Society – A celebration of culinary excellence is cultivated through cooking demonstrations, culinary classes, off-site tours, dinners, tastings and guest chefs. Beer Society – The knowledge and enjoyment of beer drives a common goal of social and educational activities. Members enjoy informal beer and buffet nights, homebrewing classes and beer swaps, craft brewery tours, tastings and more.